Left to right: Royal Aberdeen's Grant Joss, Mark Halliday, Don Macandrew and Nick Macandrew with the Dalswinton Trophy at Deeside Golf Club. Royal Aberdeen's Grant Joss, Mark Halliday, Don Macandrew and Nick Macandrew were the first winners today (Sunday) of the Dalswinton Trophy inter-club team trophy tournament played under a new format at Deeside Golf Club. This is the first year the format for the Dalswinton Trophy has been foursomes over 18 holes only. 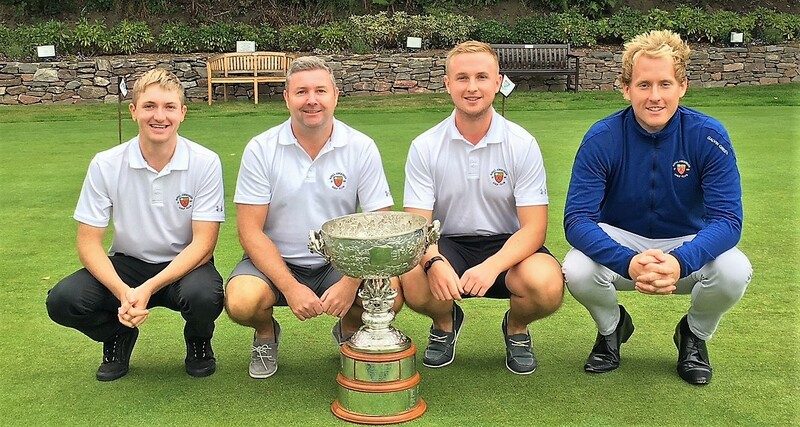 Historically The Dalswinton Trophy was a 36-hole foursomes tournament with two teams selected to play from each club, write Frank Coutts and Graeme Nethercott. "In the last several years we have reduced the number of teams to just one from each club. With match and handicap secretaries struggling to get members to represent their clubs, we have now made the "Dalswinton" an 18-hole early morning shotgun start in the hope that more clubs will enter the tournament. "We thank the 12 clubs that made the commitment to play in this year's Dalswinton Trophy competition and look forward to seeing more clubs participating in 2019."